Teenagers in the workforce. How did you know when your kids were old enough to get their first job? I get asked this question a lot. Have you ever noticed how fast children grow? It seems as if I’ve blinked and now I have little adults on my hands. With the teenage years upon me with all three of my children, it’s not unusual to be asked for money. Whether it’s to go see a movie with friends or to go to the local theme park, they always want something. 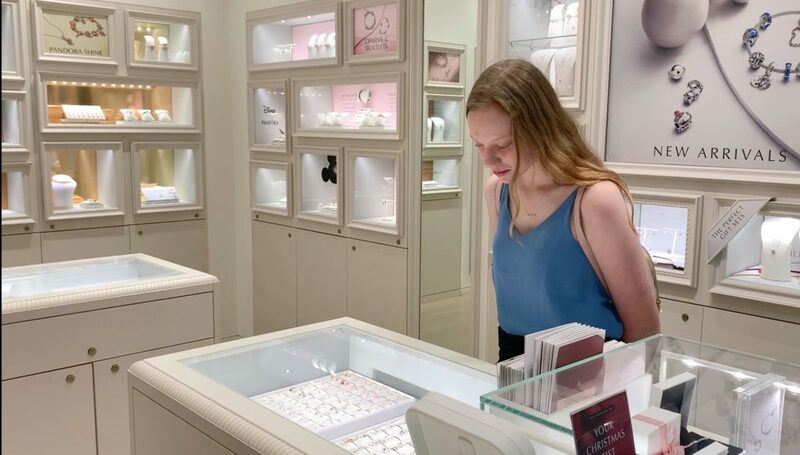 As parents, we need to decide wisely what we should and shouldn’t purchase for them, as their adolescent years will be the most imperative time for them to learn life’s important foundations. What they absorb between the years of 13 -17 will shape them into the future adults they will become. I strongly believe it’s very important to teach them the value of money and the worth of the Australian dollar within the current economic scene. 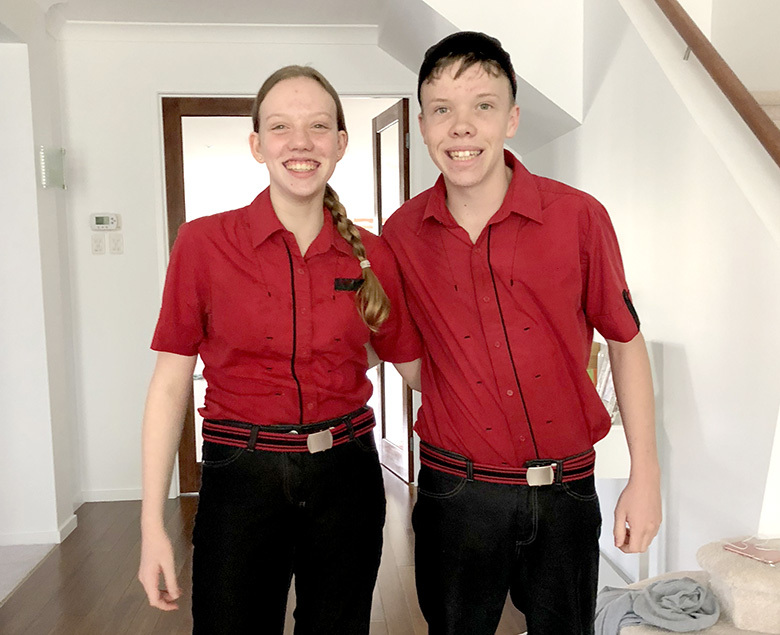 Last year, our twins joined the working society by delving into their first paid job as fast food team members at McDonald’s. I’ve had a few questions asking when did I know when our kids would be able to cope with the pressure of school studies and holding down a part-time job? Scotty and I followed a simple rule to determine whether our twins were ready for their first part-time job at 14. When they wanted something, we asked them if they could live without it. If yes, they didn’t need it. If no, then it was time for them to set some goals and consider getting their first job to save up for life’s luxuries and be able to buy things for themselves. However, they also needed to know how to balance homework, assignment and exams with their working hours and if we found them struggling, they had to stop. There’s so much we need to know as parents before allowing our teens to take the leap to the other side, and entering the workforce for the first time. They will need a tax file number and their own bank account. You should also plan to talk to them about savings and how they will manage their money. If there was ever a perfect time to teach them good values for the future, this is it. We had a serious talk with our twins before they started working and came to a family agreement. Everything they would earn had to be halved. They could spend half their earnings, while the other half had to be saved for their future. Being the smart cookies that our twinnies are, they cleverly decided to put their money together. Once they have enough money saved, they will purchase a car with it and both learn how to drive. Sharing the travelling costs will further benefit their savings accounts. I think it may be the twin bond they share, but we are very proud of them for using such common sense. They even make their own lunches now to save money. The twins have found their current account quite restricting, not easily allowing them to make purchases online (clothes, Xbox games etc). I’ve been meaning to take some time to investigate the different options for teenagers as they still have the same account we set up for them when they were saving pocket money. I wanted to find an account that offered low fees and a high variable interest rate for the money they would keep in their accounts. In good timing, ING contacted me about their new Orange Everyday Youth Transaction Account that they have brought out for teenagers aged between 15-17. Free ATMs everywhere in Australia + ATMs around the world will be paid back within 5 business days. ING brings out the new Orange Everyday Youth Transaction Account for ages 15 -17. Learn more here. 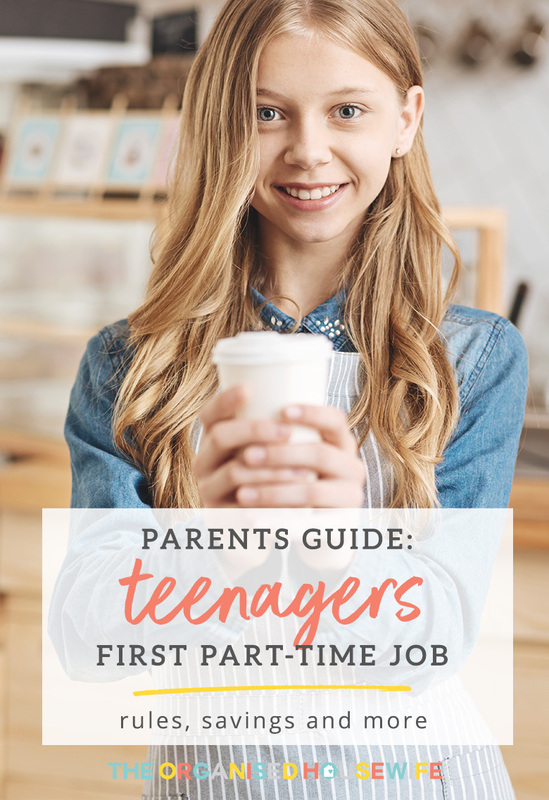 Is your teen about to get, or already has their very first part-time job? I’m setting up a new savings account for my kids, giving them better access to the money they earn. Watch my video below to learn more! UPDATE – We set up the twins with the Orange Everyday Youth transaction account just in time for our family trip to Singapore last week. They’ve been working quite a few hours lately and saved up some extra money for our holiday. Thankfully they got their card in time and were able to spend their money in Singapore with the bonus of no ING international transaction fees!! Typically you have to pay 2.5% of the amount of the International Transaction in fees, but ING will pay back the International Transaction fee immediately after it is charged, which I think is quite impressive. Speaking of fees, for ATMs in Australia – any ATM fee charged by the ATM operator is paid back immediately following the transaction as well. This is great for the kids as they don’t earn much per hour and they can spend their money without worry about any hidden fees. The kids are getting older now and learnt the ability to shop online, they were restricted before and unable to use their previous account online so they are happy now! Although I don’t want them going too crazy with online shopping, they get their license next year and are both saving for their first car, which again the linked Savings Maximiser account is offering their highest variable rate so they are getting the most out all the money they are saving. WHAT ARE THE AGE LIMITATIONS AND THE NUMBER OF HOURS TEENAGERS CAN WORK? I have shared photos of the twins in their McDonalds uniforms as I take them off to work on Instagram and I often get asked what age the kids can start work. What a great question that was, because I realised that is different Australia wide. Each state has its own rules and age regulations for when your teenager can enter the part-time workforce. I was so surprised at how different it is around Australia, that I decided to share the information I found on here in the hope that it helps you, no matter where in Australia you are. NSW:- There is no minimum age when they can start part-time or casual work, but they must be at least 14 and 9 months to do door-to-door sales or any work when handling money. ACT:- No minimum age. If under 15, they can only be employed for light work, like running errands, work in a family business, gardening, cashier, modelling etc. Teens must have parental written consent. Between 15 -17 years, no limit on hours worked, however work must not interfere with school load. QLD:- Minimum age for starting work is 13. From the age of 11, you can do paper runs or deliver pamphlets. Between the ages of 11 and 12, no paper run shifts between 6 pm and 6 am. You can work in a family business from any age your parents or relatives approve. NT:- No set limit on age but children must not work shifts that interfere with their school hours. SA:- No set age limit but shifts must not interfere with school hours. If you are 10, 11 or 12, you can work between the hours of 6am and 7pm. If you are 13 or 14, you can work between 6am and 10pm. TAS:- Not set age limit. VIC:- Minimum age is 13 for employment. If you are 13+, you can work between 6am and 10pm. For any mums out there currently going through the same thing, share your story with me and comment below. I would be interested to hear what state you’re from and how you have coped with sending your beloved teen to work. HOW DID YOU AND YOUR TEENAGER COPE WHEN THEY STARTED THEIR FIRST PART-TIME JOB? The information presented is factual in nature only. It is not intended to be financial product advice or to imply any recommendation or opinion about a financial product. It does not consider your personal objectives, financial situation or needs. The content was not written or created by ING and ING is not responsible for the content. ING makes no representation as to the accuracy, completeness or reliability of the content, nor does ING accept any liability or responsibility arising in any way from omissions or errors in the content. ING strongly recommends that you obtain independent advice before making any financial decisions. The Organised Housewife uses ING’s trademarks under arrangement with ING. Orange Everyday Youth is issued by ING, a business name of ING Bank (Australia) Limited, ABN 24 000 893 292, AFSL 229823. Great kids! How did they find this job? My 13 yo son can’t wait to start earning his own money, but he doesn’t know how. We are not from Australia originally, so I don’t have any experience of my own. Should we write any type of resume? Apply online? Walk in and ask? The Barefoot Investor for Families explains it all and is very easy to follow. Most jobs will require a resume, since he won’t have proper “work experience” he can still put things he engages in at school like extra curricular activities, any volunteering, dog walking for neighbours etc 🙂 If there are signs up in shops then definitely walk in, otherwise Seek.com.au have jobs listed! I am currently reading The Barefoot Investor for Families and he gives great tips on how to set up your children when they start work. He also mentions that ING account, and splitting the earnings into spend, save and donate to help your children learn good money lessons and values. Great book. Highly recommend it to anyone with children of any age (not just teenagers) Sounds like you’re doing a great job too! Ooh thanks for sharing! Yes, its such a great account, my kids are really loving it… they love that they can shop online now too lol! Hi, thanks for the awesome information. I’m glad the twins found work, I currently have a 13 year old daughter that is currently looking for a job. What tips do you have for writing up a resume for a student that doesn’t have any work experience yet. Hi Wendy, even though tshe might not have proper work experience, there is still experience that she can put on their resume… e.g babysitting (even if for family friends), volunteering, school captain, pet sitting etc. 🙂 hope that helps!